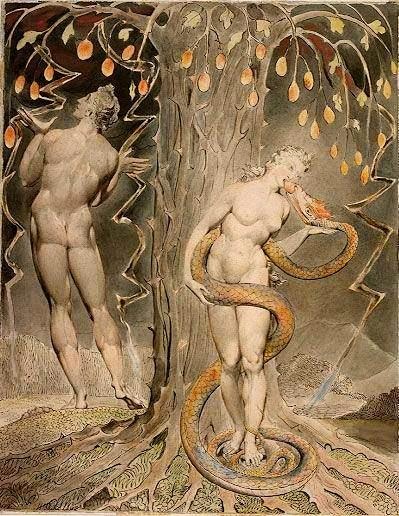 William Blake's 'The Temptation and Fall of Eve', 1808. What you're looking at is the moment that God made the universe relevant by surrendering his/her omnipotence and granting mankind free will. The serpent, in the mythopoeia underlying 'Eden's Womb,' is the StrongMother Naja who begat and embodies the universe. Naja created everything we experience, including God, and came to the Garden of Eden to give mankind the power of self-awareness and therefore spirit-awareness. From conception of the plot to finished product. 1.2 Influences from 45 years ago. 1.6 Literary recognition - why 'Eden's Womb' is not sitting in a drawer unfinished. 4.4 Personal notes on becoming a (successful) writer It started early in elementary school.